A year or so ago I bought a grab bag at auction that had a few beat-up old watches in it. I cleaned them and put batteries in some with the idea that I’d try to re-sell them on eBay, and I did sell a couple. Setting a watch is something most people do without paying a lot of attention, and when I went to set one of those watches, something was wrong and I kept not being able to set it. When I focused on the problem, I realized that the watch had a “6” on the dial in the 9-o’clock position. The watch has been ticking away in a drawer until this evening when I pulled it out to set it for standard time. Then the monumental significance of this watch hit me. OK, this one has me rattled. 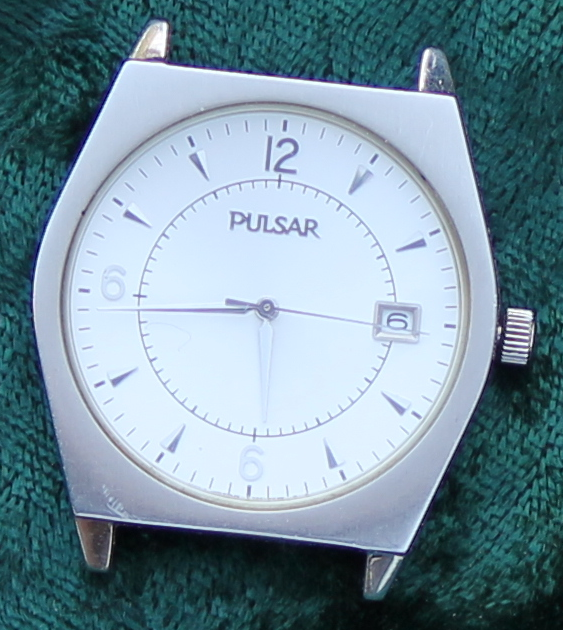 The photograph above was taken months ago when I was trying to sell the watch on eBay (no takers). This morning I looked at the watch to see the “666” but it didn’t say that; it said “667”! Not only did it skip “666” but now the date is stuck on 7 and cannot be changed, neither with the one-click stem setting for setting the calendar or by running the hands past midnight. I was wondering if it is possible to fix the link to the audio on this story “Kapi’olani confirms.” I have been citing it as evidence that Obama was born there, minor evidence to confirm the birth certificate, and the teacher, and the words of Linda Lingle, and the centennial magazine, but still evidence. And naturally the birthers claim that it is false because they cannot hear the audio. So with where the hands are pointing, it will be 666? No doubt about it. The end is near……very near. I do not know of any source for the audio clip that still works. I left a couple of questions at the radio site. US Citizen: So with where the hands are pointing, it will be 666? WHOA! That’s freaky! What did it look like last year? I haven’t had it for a year. One can only guess. Paul Day: What did it look like last year?